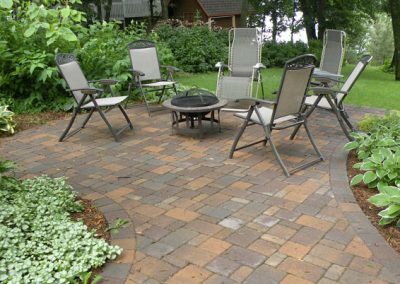 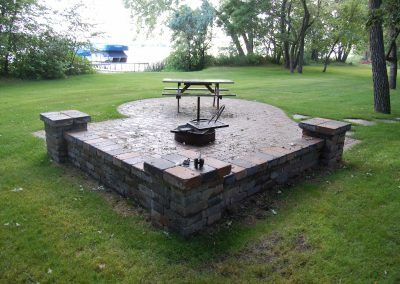 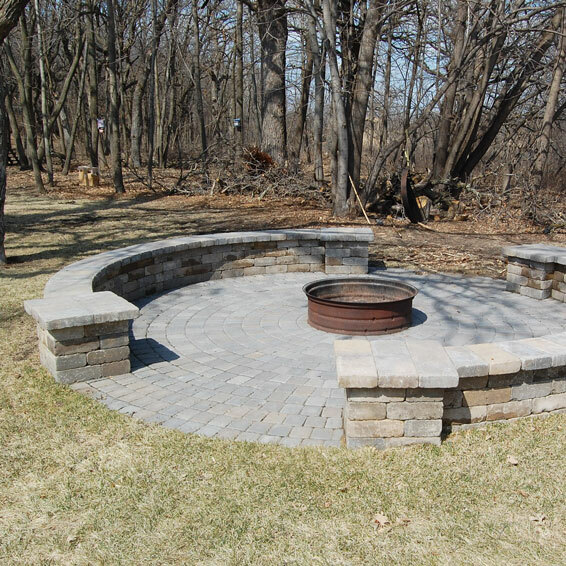 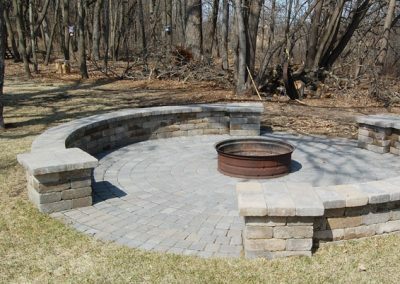 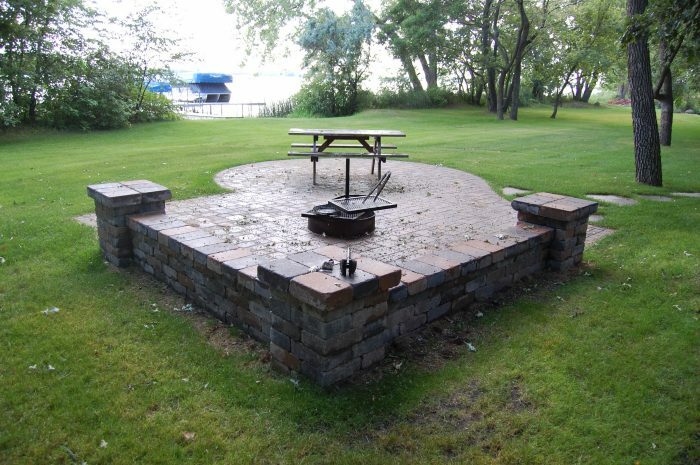 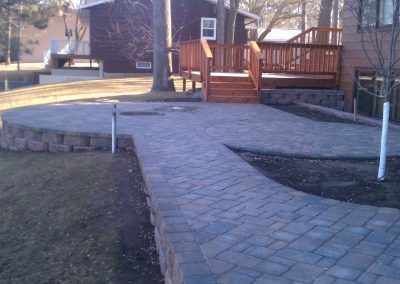 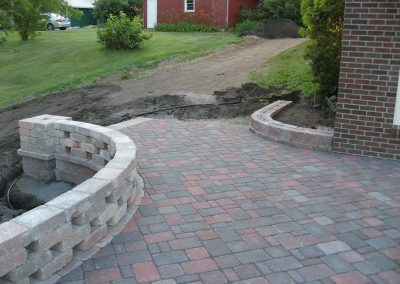 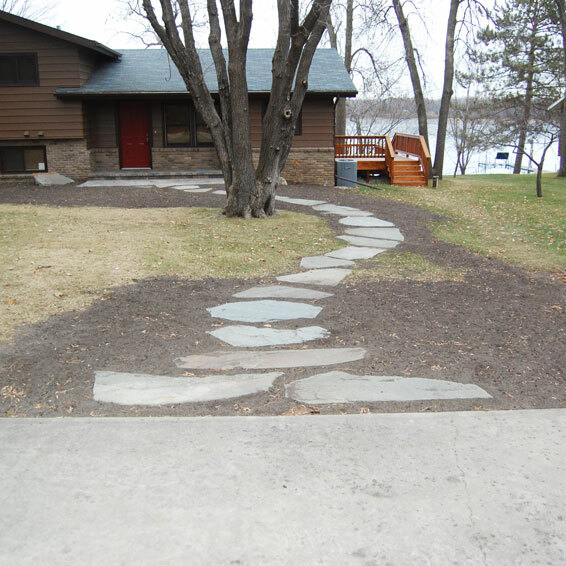 Located in the heart of the Minnesota lakes area, Lawn and Limb Landscaping designs, builds and maintains extraordinary outdoor spaces that allow our customers to make the most of their property. 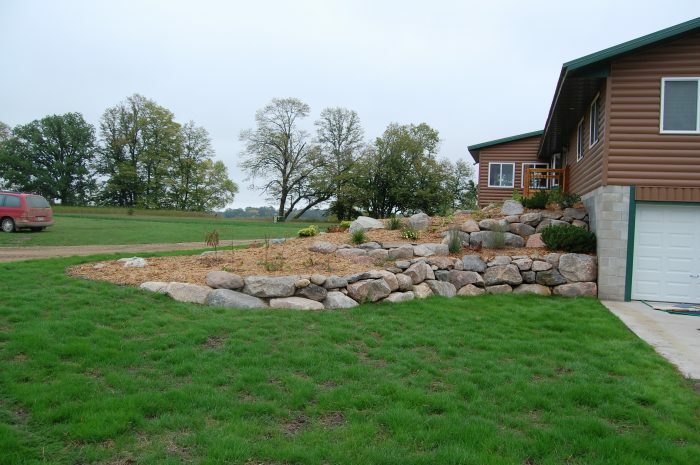 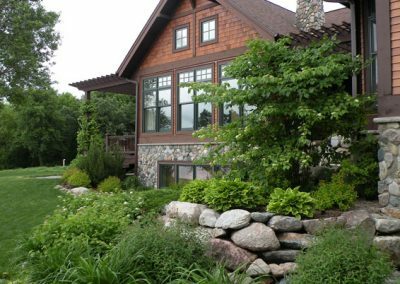 For nearly 25 years, we’ve been growing in knowledge and developing skills, and have evolved into the number one, local landscaping company that offers stunning, innovative outdoor designs that function brilliantly in mid-Minnesota’s climate. 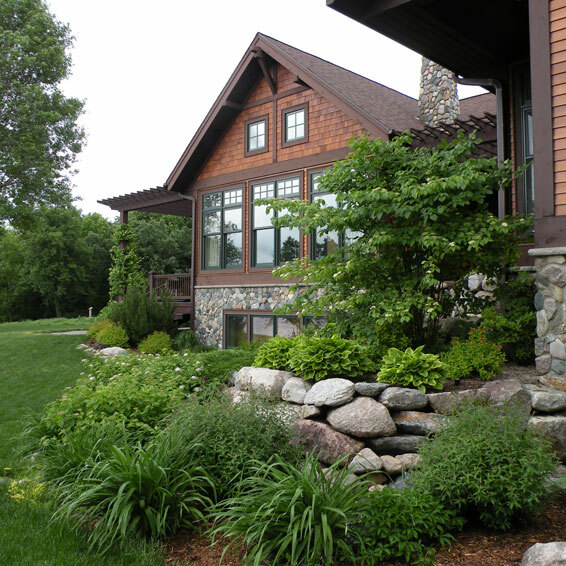 We love to get to know our customers, their lifestyles, and the vision they have for their properties. 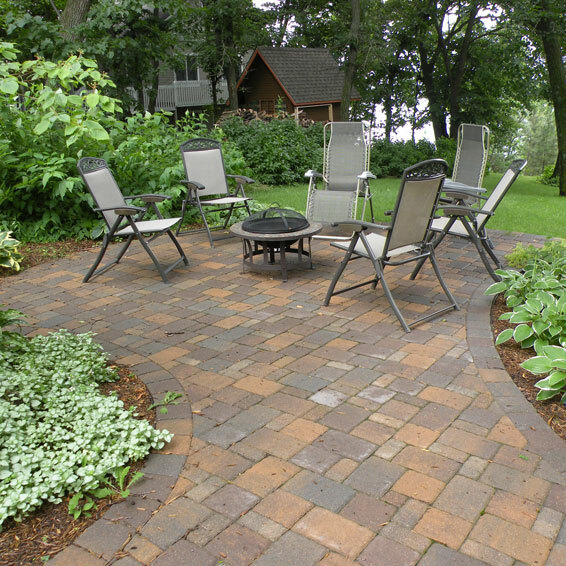 Our clients appreciate our laid-back business style. 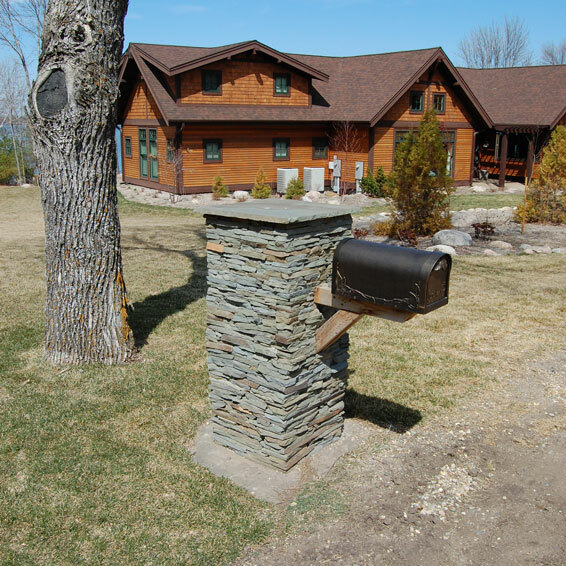 Lakes Country is home to level prairies, rolling hills, and both gentle and steep shoreline grades. 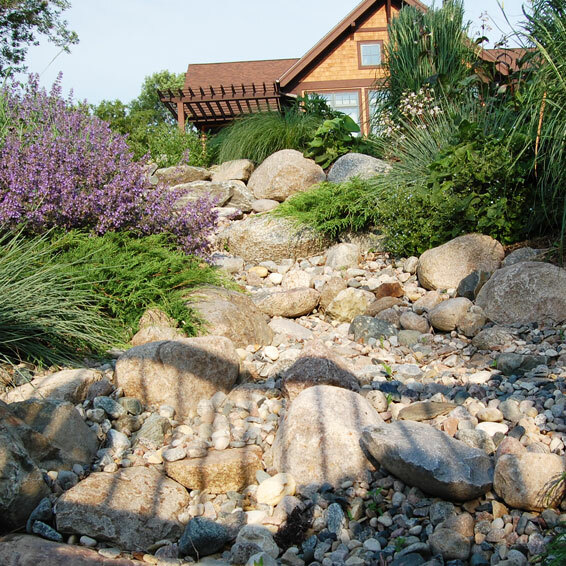 These variable conditions are part of what make this such a gorgeous place to live, but they can also cause a few issues where landscaping is concerned. 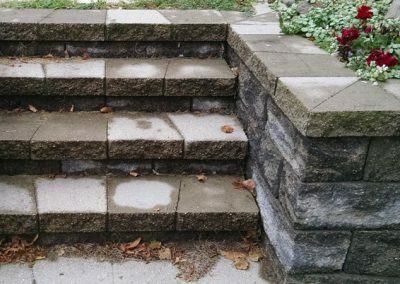 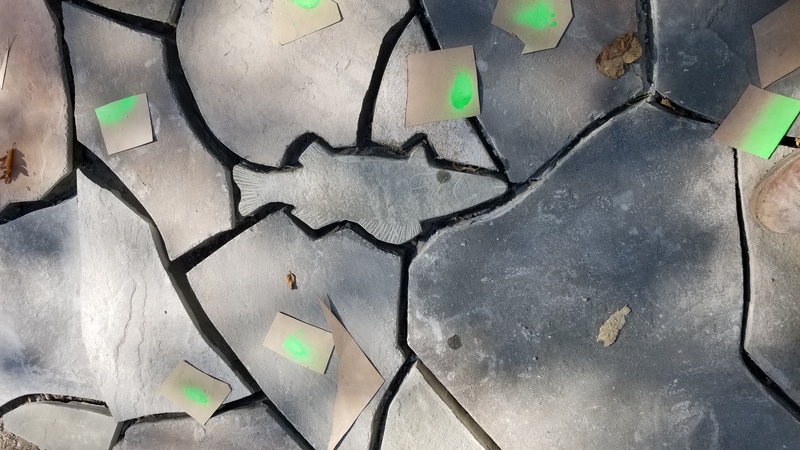 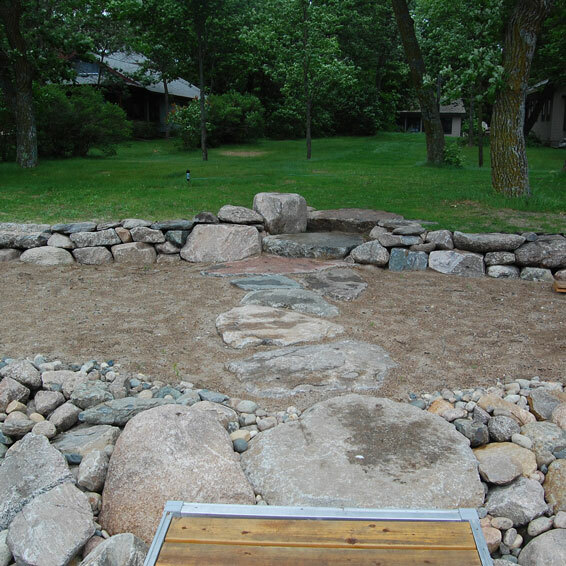 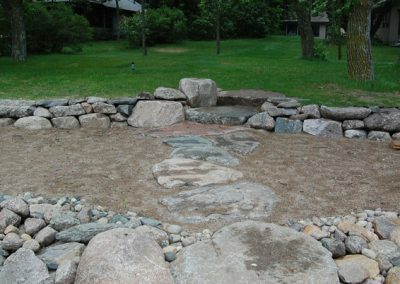 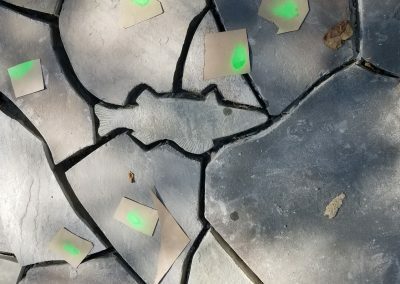 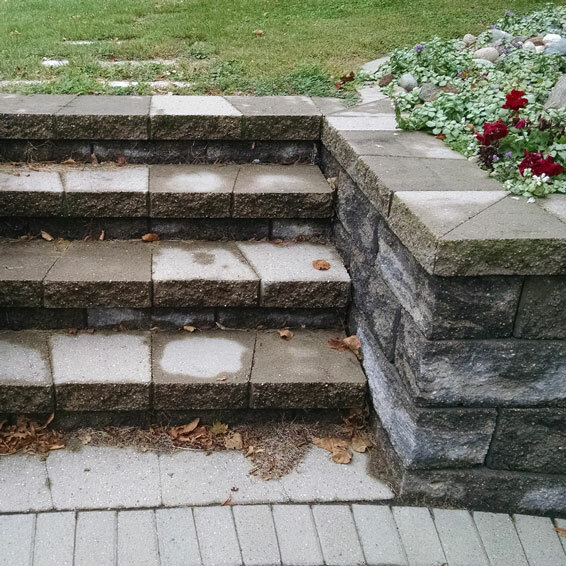 Boulderscapes™ is a method of strategically placing landscaping stones, rocks, or boulders to address any unique problems your property presents, while making that area functional and beautiful. 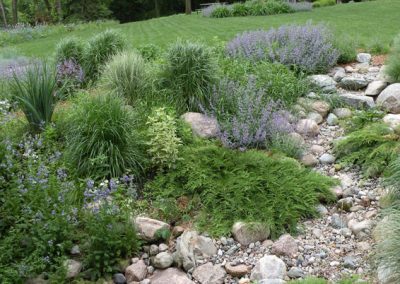 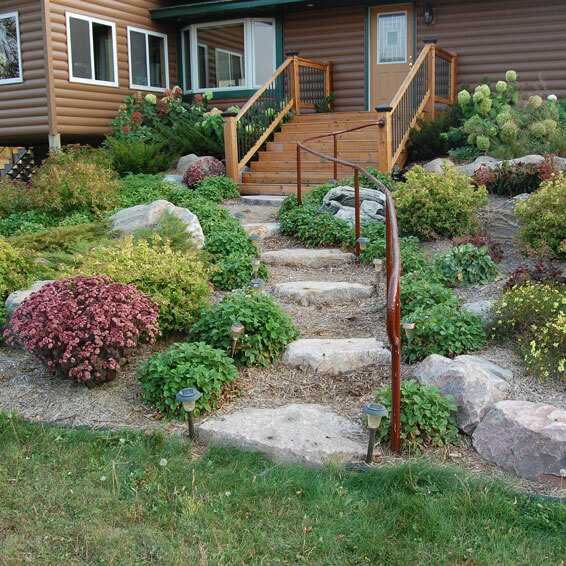 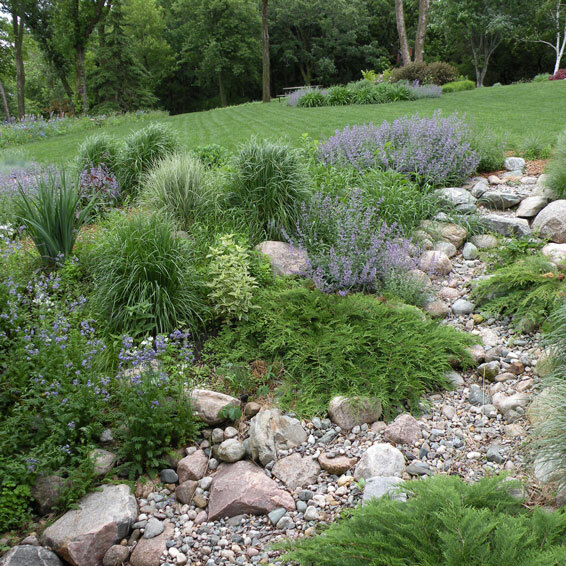 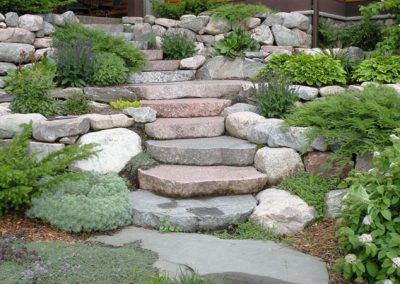 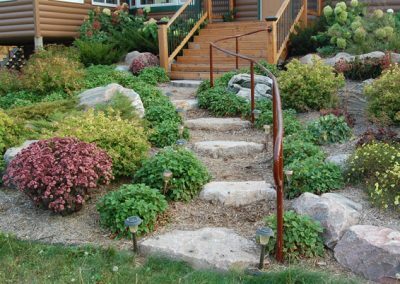 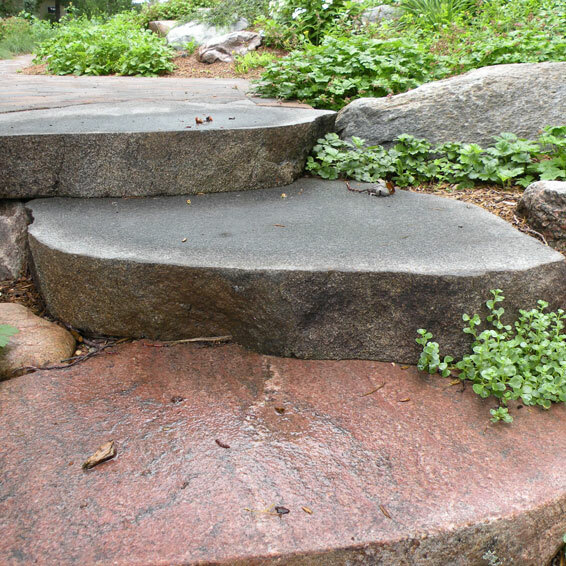 Boulderscapes™ by Lawn and Limb Landscaping will bring organic beauty and functionality to your yard. 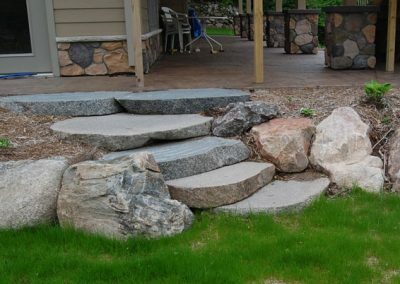 We carry a large inventory of stones, harvested from across the lakes area, to meet your needs. 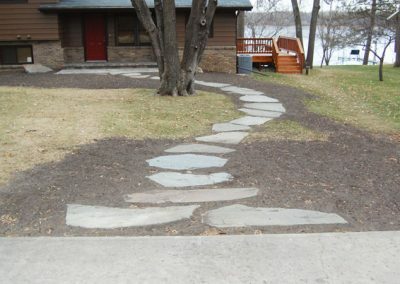 We’ll help you develop a design that showcases your property and enhances your structures, yet maintains a natural feel. 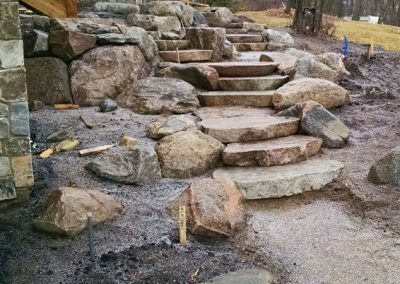 Then we’ll hand sort and transport the boulders to your site and incorporate them into a stunning landscape that will last for years. 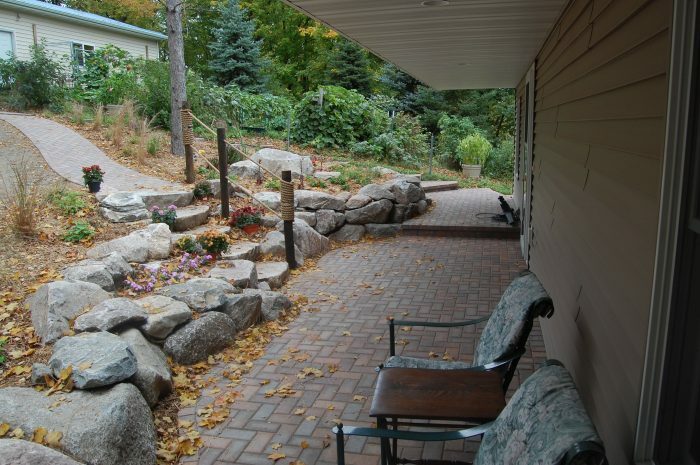 Check out some of the options we have available, and then start dreaming! Mid-Minnesota’s wide seasonal temperature variance, and ground conditions that change from sand to clay, can make hillside maintenance a struggle. 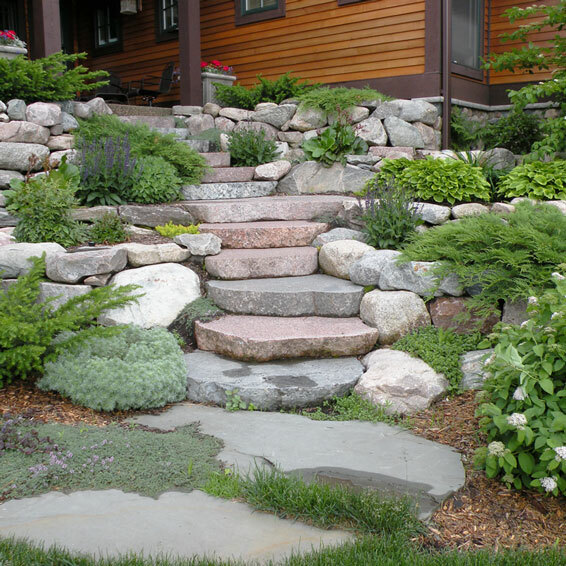 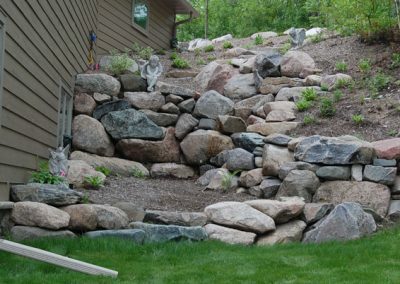 The organic look of boulder retaining walls fits in naturally with any landscape design. 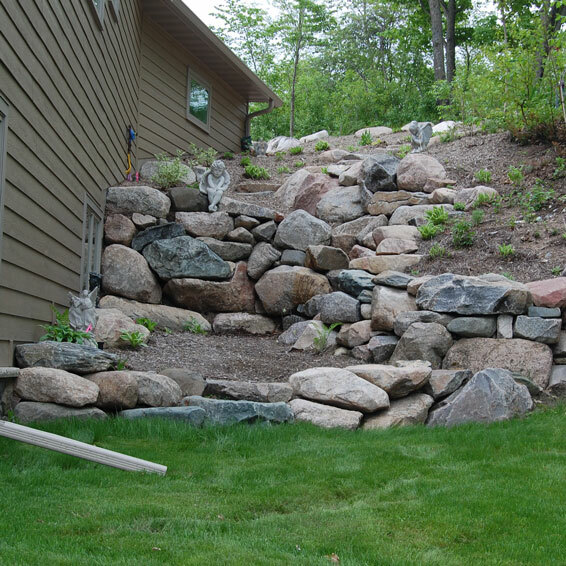 With Boulderscapes™ we can create natural-looking boulder formations in and around your hillside, that will give a solid feel to your property and enhance the beauty of your structures while stabilizing the soil enough to grow the lush plants, trees and shrubs you love. 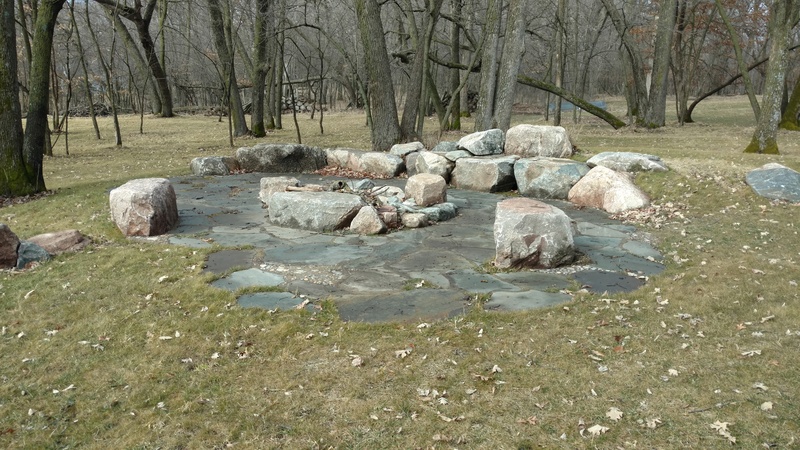 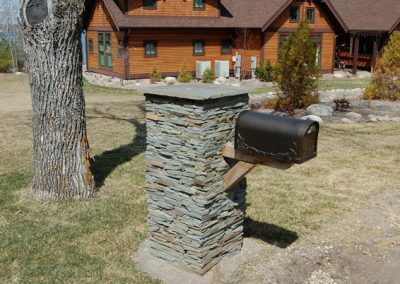 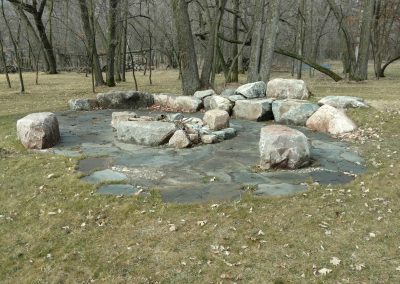 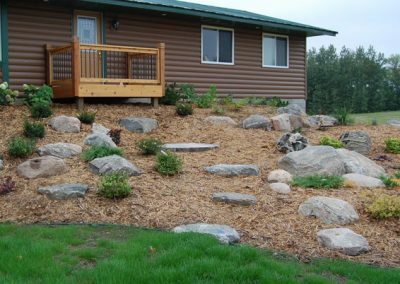 Outcroppings – Boulderscapes™ can incorporate small, medium and large rocks with trees, shrubs and flowers to create a feature space within your yard. 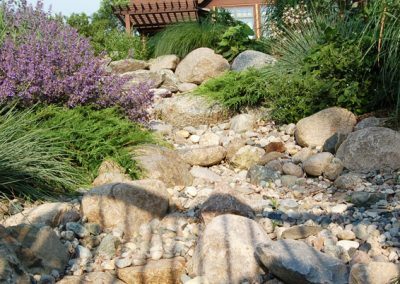 A well-designed and executed outcropping should be visually stunning, yet appear natural enough that it feels like the structures were built to highlight nature, rather than the other way around. 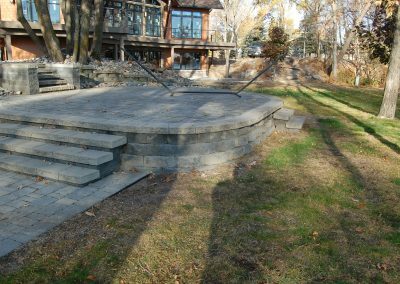 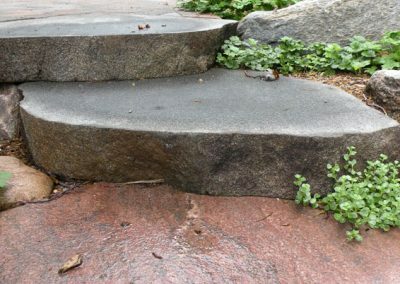 Since no two pieces of flagstone are alike, using it for patios, steps or walkways is a terrific way to add individuality to outdoor space. 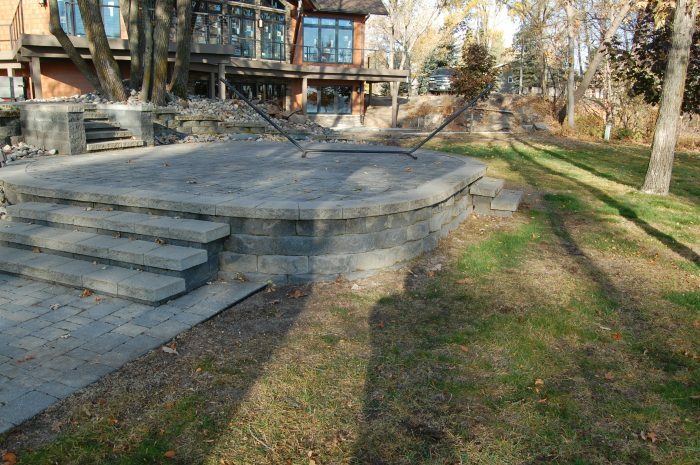 Flagstone’s flat surface is naturally slip-resistant, making it ideal for poolside areas. 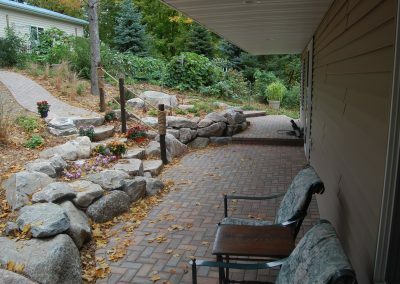 With nearly 25 years of experience behind us, we’ll manage your Boulderscapes™ project from start to finish, keeping your unique needs in mind. 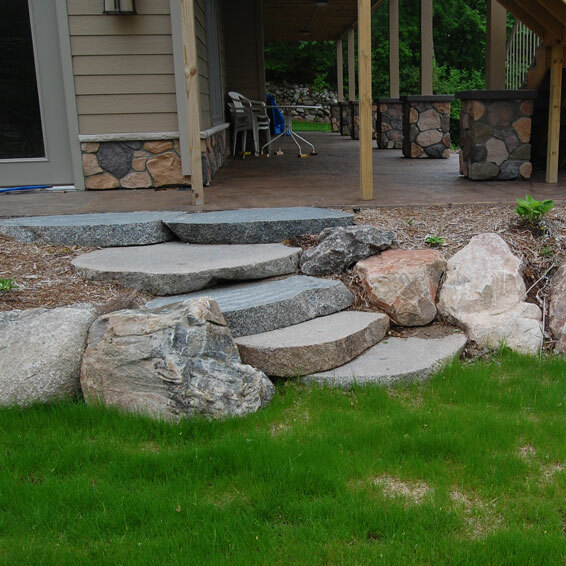 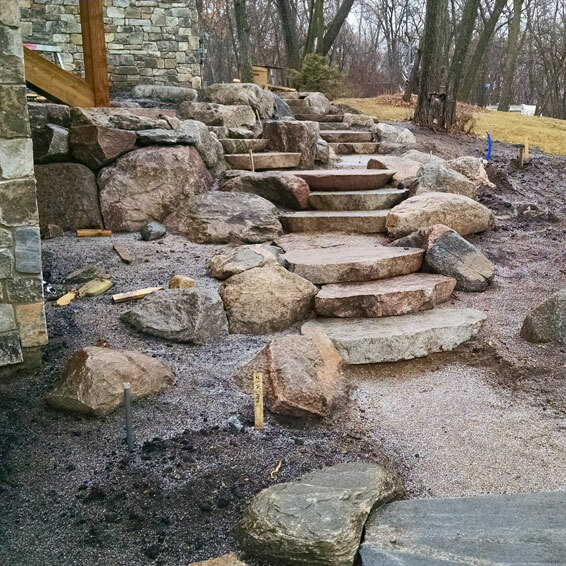 Before the first shovel hits the ground, we’ll sit down with you and help you develop a design that incorporates the timeless beauty of natural rock into your landscape, and makes you proud of your property. 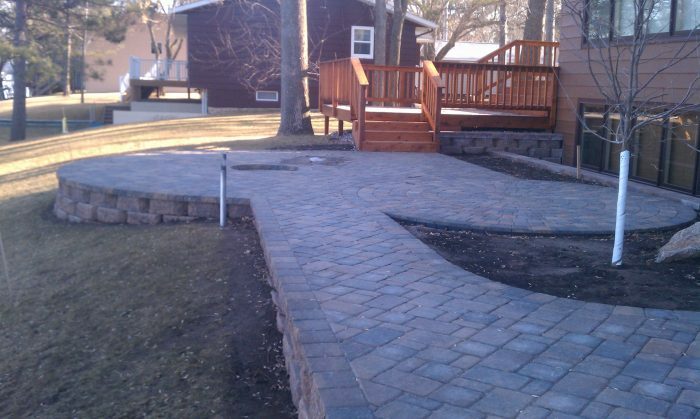 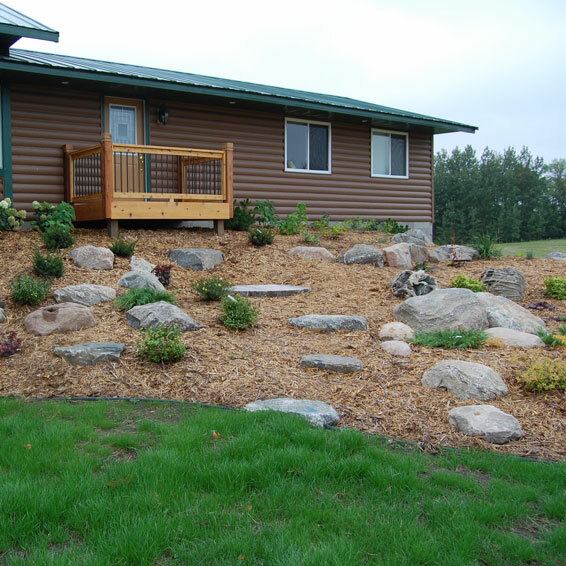 As the most respected, locally-owned and operated landscaping company in the Otter Tail lakes area, we’re proud of our laidback style and commitment to customer satisfaction. 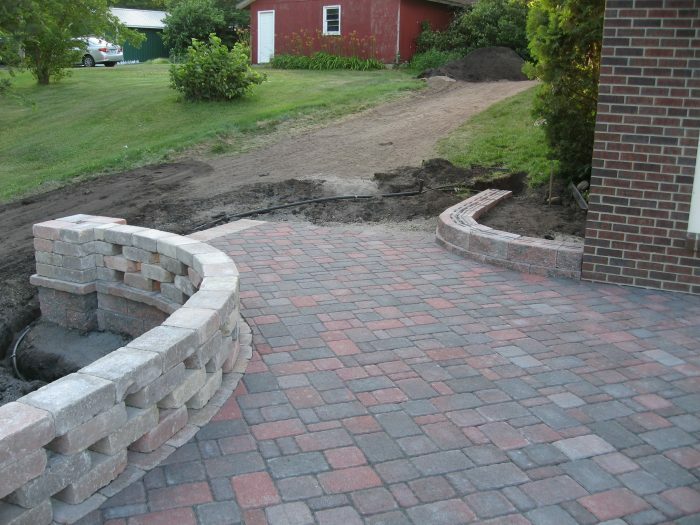 We look forward to working with you on your next residential or commercial project.